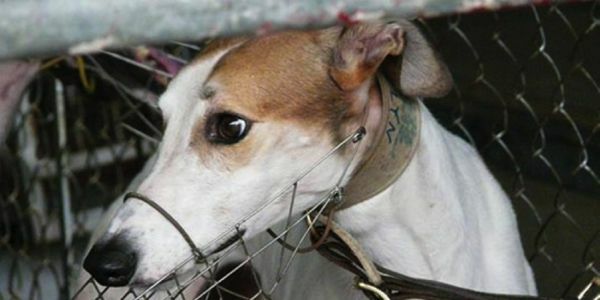 petition: Florida is Setting Thousands of Greyhounds Free! 50,000 more dogs worldwide need the same help! Florida is Setting Thousands of Greyhounds Free! 50,000 more dogs worldwide need the same help! November 6 was the most important day for greyhound advocacy and adoption anywhere in the world at any time in history! On Election Day, the state of Florida voted 2-1 to prohibit dog racing and give thousands of greyhounds their pass to freedom. The decisive margin of 69% to 31% statewide sends a clear message that commercial dog racing is cruel and inhumane and must end wherever it exists. Eleven of the 17 dog American dog tracks must now phase-out live racing by December 2020. Our dogged 17-year campaign in the Sunshine State followed recent victories in ten other states including Massachusetts, New Hampshire and Arizona. Dog racing will now be illegal in 41 U.S. states. The only legal dog track in China has also just closed its doors and GREY2K is now working with ANIMA Macau and Pet Levrieri of Italy to airlift over 500 lucky hounds to safety from the worst dog track in the world, the Canidome. Commercial greyhound racing is an American invention, but this unsavory industry now exists in seven countries at nearly 150 tracks. All told, greyhound racing causes the abuse of nearly 50,000 greyhounds across the globe every year. Many are simply killed once they stop winning. As many as 17,000 young, healthy dogs are destroyed each year in Australia and in the United Kingdom, one man alone shot to death 10,000 unwanted greyhounds. Help us stop this cruelty in its tracks. Commercial dog racing is currently legal in Australia, Ireland, Mexico, New Zealand, the United Kingdom, the United States and Vietnam. Please sign our petition to the leaders of these countries demanding an end to dog racing now! I am writing to urge you to support new public policy and legislation to end the cruelty of greyhound racing. Did you know that greyhound racing spells suffering for nearly 50,000 greyhounds all across the globe each year? They are forced to live in tiny cages, deprived of vet care, drugged, starved and abused, then simply killed. When let out to race, they suffer serious injuries like broken legs, broken backs, paralysis, seizures and head trauma. Many are simply killed when they stop winning. Thankfully, commercial greyhound racing is a dying industry that remains legal and operational in just seven jurisdictions: Australia, Ireland, Mexico, New Zealand, the United Kingdom, the United States and Vietnam. Please help save dogs and work to end this cruelty in your country now.